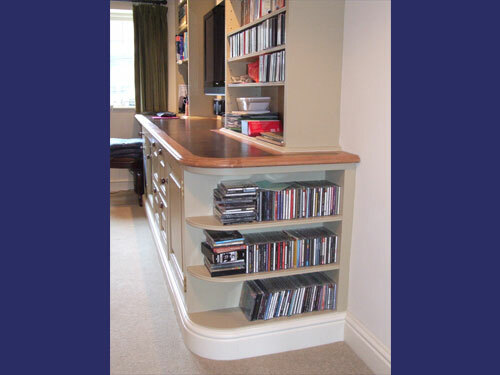 This section gives examples of fitted internal joinery. 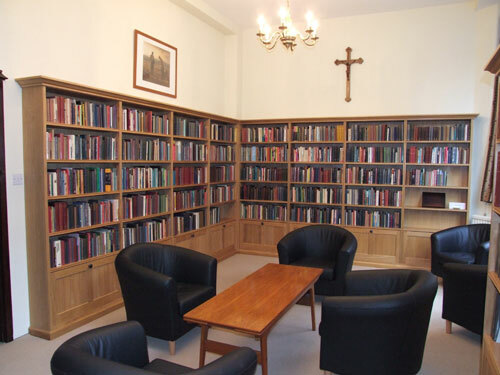 Libraries and Panelling, Jameson Joinery is a Libraries and Panelling manufacture company for corporate or private clients in the UK Sussex including London, Horsham and all the other surrounding areas. 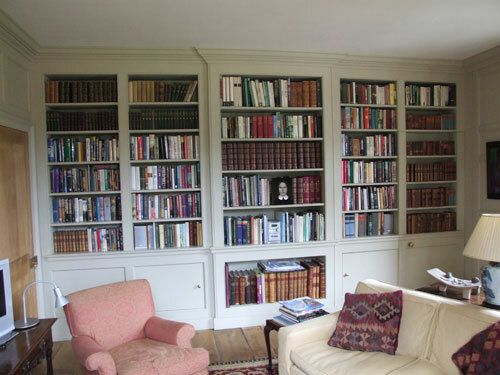 This bookcase incorporates a jib door on the right-hand side where the entire section of the bookcase hinges forward to give access to the room behind. 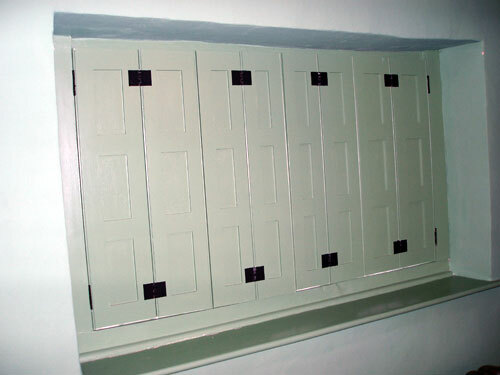 Folding shutters installed in a restored Alms House. 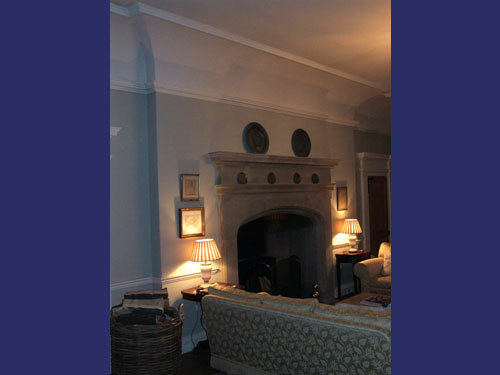 This very heavy cornice moulding is constructed using riven laths attached to wooden formers. 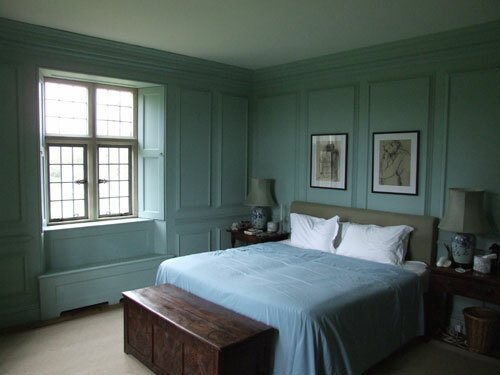 This panelling has been installed with matching window shutters and radiator covers. 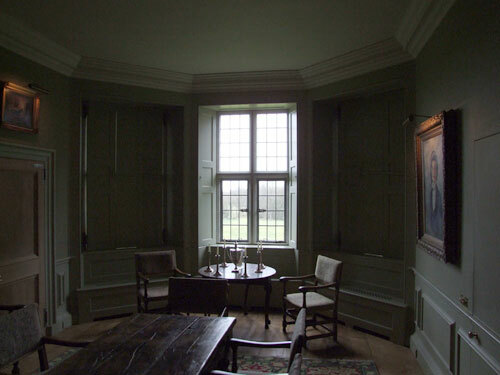 Another design of panelling with complementary doors. 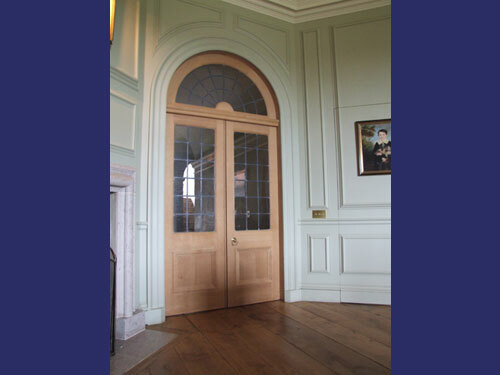 The panelling in this hallway has radiused architrave and panels to complement the oak doors. 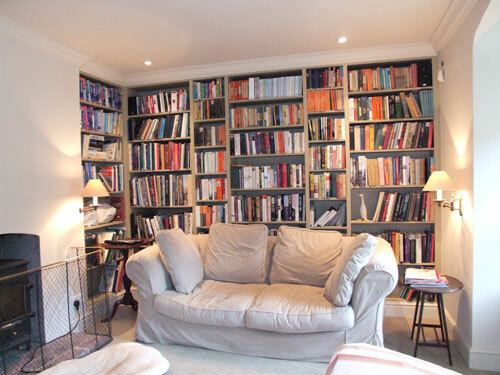 The floor is hand-finished English oak. 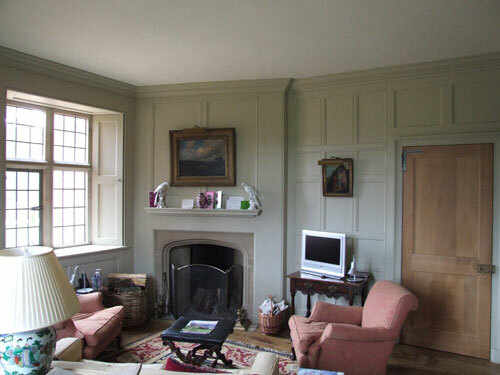 A further example of fitted panelling. 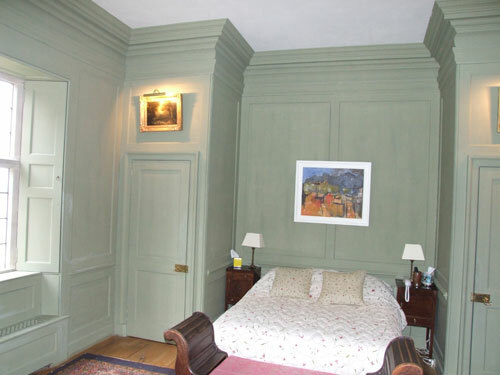 This panelling is made using a moulded tulip wood frame and MDF panels. 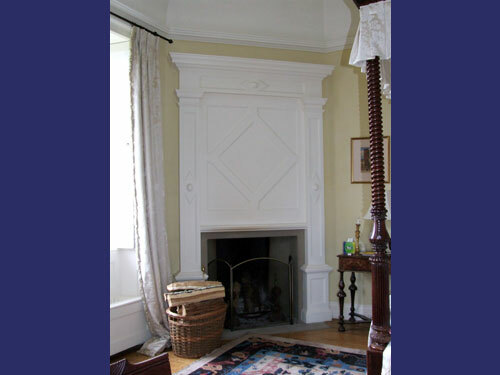 The fireplace entablature is made from hardwood to ensure stability.